Board-certified Denver plastic surgeon Dr. Brent J. Smith understands there are many reasons to consider a rhinoplasty, which is often referred to as a nose job. You may be dissatisfied with the shape or proportion of your nose, or you may suffer from impaired breathing due to imperfections of or injuries to the nose. Dr. Smith is here to help you understand your options, set realistic expectations, and refine your nose in a way that achieves a natural-looking balance with your unique facial features. Please call Smith Cosmetic Surgery’s Centennial office at 303-741-2211 to schedule your free rhinoplasty consultation. Dr. Smith will work closely with you to develop a custom treatment plan that suits your individual facial characteristics and meets your aesthetic desires. Viable rhinoplasty candidates are nonsmokers who are in good general health and whose facial development is complete. Patients should have a positive outlook about the procedure, as well as realistic expectations for its results. Dr. Smith will discuss the procedure’s advantages and limitations with you in detail during your consultation. Each rhinoplasty treatment is different based on the patient’s facial features and cosmetic goals, but there are some basic similarities among most cosmetic nose surgeries. Tiny incisions are used to raise nasal tissue and access the underlying bones and cartilage. The bone structure, cartilage and skin tissue are then reshaped to achieve appropriate form and symmetry. The exterior tissue is then repositioned, and the incisions are closed. Most rhinoplasty patients are able to resume work and day-to-day activities within a week of surgery. Some swelling may linger for a few weeks as you recover, but the initial results will be noticeable soon after surgery. In the months that follow your rhinoplasty, your nose will continue to subtly refine its appearance as it heals. 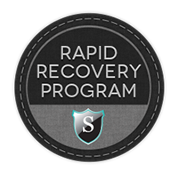 Dr. Smith will review your recovery guidelines with you in detail prior to your surgery, and the team at Smith Cosmetic Surgery will remain with you throughout your recovery process. To learn more about cosmetic nose surgery or schedule your rhinoplasty consultation, please contact Smith Cosmetic Surgery today. 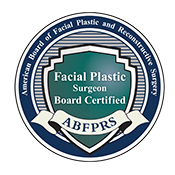 Though based in the Denver area, Dr. Smith is a nationally recognized facial plastic surgeon who welcomes patients from across the country. DR. SMITH WALKS YOU THROUGH WHAT YOU CAN EXPECT DURING A COMMON RHINOPLASTY PROCEDURE.